Chipmunks may look like cute, cuddly creatures as they dart around woodlands, but every gardener and homeowner knows that chipmunks can be very destructive. The best chipmunk repellents help keep chipmunks away and stop them destroying your yard. Chipmunk deterrents work in a number of humane ways to help get rid of chipmunks from your property and keep them away for good. Pungent smells, the scent of predators, and ultrasonic waves are all proven methods that work as a natural chipmunk deterrent. There is a wide choice of natural chipmunk repellents on the market to choose from. To help you in your choice, we have put together a list of the top repellents to get rid of pests like chipmunks, squirrels, and other types of rodents permanently. Here are the top 3 products on the market that help to deter chipmunks from your property. The Apello rodent repellent is solar-powered and works using ultrasonic waves to effectively discourage critters from using your garden as their pantry. These ultrasonic chipmunk devices are top of our list of the best chipmunk repellents because they require little maintenance, work effectively, and are simple to use. Each unit sends out sonic pulses and vibrations through the ground to stop chipmunks coming near. The repelling action is achieved by sending 3-second pulses every 27 seconds. 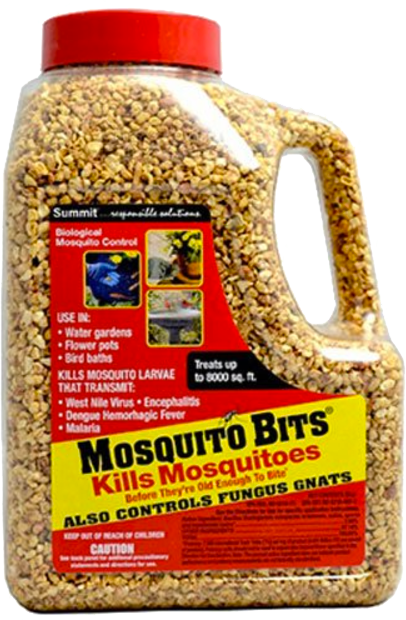 Using these repellents means that you don’t have to worry about finding dead chipmunks or other rodents in your yard. The rodent deterrents are completely non-toxic so they don’t pose any danger to children or your family pets. When compared to other types of sonic-wave repellents, Apello solar-powered repellents are the best for chipmunks, moles, gophers, and voles. These units receive good reviews for their effectiveness at deterring rodents and other small mammals. Users report that these deterrents are good for preventing chipmunks destroying growing vegetables and small fruit trees. Because sound waves travel better in dense soil, they are more suited to yards and gardens that have clay soil. One of the reasons for choosing these types of rodent repellents is that they are virtually maintenance-free. The units work on rechargeable solar power cells so it means you don’t have the hassle and bother of changing batteries. Each unit covers up to a radius of 45 ft. There are 4 units in each package which means you can effectively keep a medium-sized yard free from chipmunks for good. Each unit is constructed from durable, corrosion-resistant aluminum and will continue to work effectively even in rainy days. If you are looking for a completely natural chipmunk repellent, then this repellent spray from Exterminators Choice will keep small mammals away from your property. One reason why this rodent repellent is in our top 3 list is that it is not poisonous to pets or humans. If you want to keep chipmunks away from your property and yard naturally, then “Rodent Defense” is a good choice. The natural repellent is a combination of natural substances that chipmunks and other rodents hate. The defense mechanism is a mixture of garlic, peppermint, rosemary, and pepper that prevent critters destroying your plants and property. There is actually some scientific proof that natural ingredients such as peppermint oil deter small mammals. Some scientists observed that peppermint oil acts as a natural deterrent to keep rodents away from areas treated with the solution. The fact that this spray also contains garlic (offensive to chipmunks) and pepper (an irritant) helps to prevent chipmunks being attracted to growing fruit and vegetables in your garden. Because the natural spray is non-toxic, it won’t kill chipmunks but humanely discourages them from coming near to treated areas. This means that you don’t have the problem of removing small dead animals from your property. Another advantage of using natural pest deterrents such as Rodent Defense is that you can safely treat indoor areas. So, if you have had to deal with a chipmunk invasion in your property, you can treat your basement, attic, garage, or even your car to prevent them from returning. 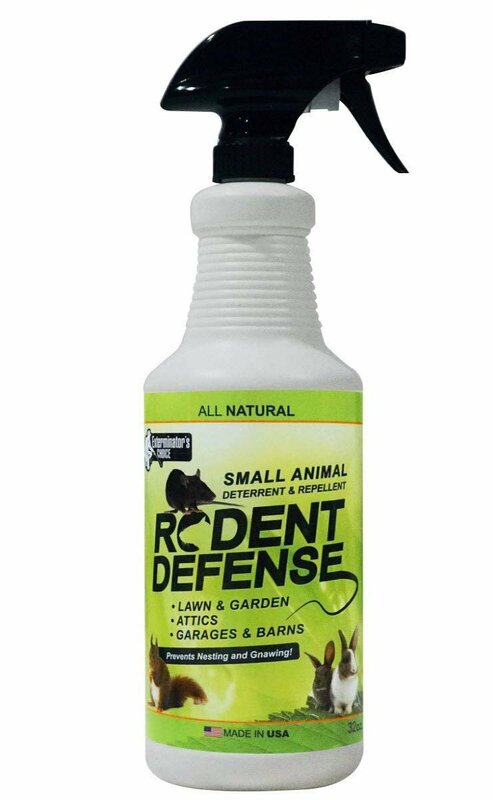 Many users of Rodent Defense by Exterminator’s Choice highly rate this deterrent because of its effectiveness. Users report that after treating areas with this repellent, they no longer have rodent-related problems. The natural spray repellent helps keep squirrels, rats, raccoons, and other small mammals away from garbage cans, flower beds, crawl spaces, and from climbing up trees. One way to scare unwanted pests such as chipmunks away from your property is to use the scent of natural predators. Predators mark their territory with urine to warn off other animals and a natural repellent like bobcat urine will signal danger to chipmunks. Bobcat urine granules by Pee Mart are one of the best chipmunk repellents using predator urine scent. The granules are long lasting and shouldn’t need to be reapplied after a light downfall of rain. Because chipmunks are generally not urban dwellers, the scent of bobcat urine signals danger for the little critters. There is actually some scientific evidence that rodents are scared of the scent of predator’s urine. Researchers from Harvard Medical School reported that the urine scent of meat-eating animals has compounds that instinctively alert rodents to danger. This means that natural chipmunk repellents which include urine can keep the little destructive animals away from your property. You can use urine granules to deter chipmunks by sprinkling the deterrent around areas you need to protect. The good news is that although the smell of animal pee deters chipmunks, the granules are biodegradable and don’t harm plants, soil, or the environment. As with other natural rodent deterrents, using urine granules won’t kill chipmunks and other small mammals. So, you don’t have the added problem of having to remove disease-laden rodents from your yard. We have included bobcat urine granules from Pee Mart in our top 3 because the product receives good reviews from users. 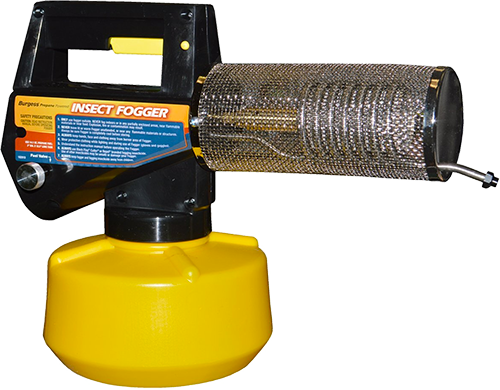 Users of this product have found it to be effective in deterring rodents from getting into their car engines, entering buildings and greenhouses, or destroying yards. Another reason to consider purchasing this product is that the manufacturers say that it is long lasting and 100% natural. It is also easy to apply the dry urine granules and you don’t have to fear about getting any urine-based liquid on your hands or clothing. There are some other similar squirrel and chipmunk repellent products on the market that is also worthy of your attention. LANSONTECH Ultrasonic Chipmunk Repellent uses a combination of ultrasonic pulses and flashing lights to scare off small mammals from your yard and has a number of settings depending on the size of the animal. These ultrasonic chipmunk repellents were not as good as the Apello product because they require extra batteries and, in some settings, the flashing lights are always on. These ultrasonic chipmunk deterrents help send sonic pulses and vibrations through the ground to deter chipmunks from your property. Goldstern Solar Powered Chipmunk Repeller didn’t make our top 3 because there are only 2 units and therefore only cover a small area when compared to some other ultrasonic mammal repellents. This Advanced SereneLife Ultrasonic Pest Repeller uses ultrasonic waves and attaches to your car to guard it against the havoc that chipmunks can cause. Although the unit can protect your car from rodents wherever it is parked, it is not much use in keeping your yard or garden free of squirrels and chipmunks. The Shake Away Rodent Repellent Granules use the natural scent of predator urine to help keep pests like chipmunks away from your vegetable patch, lawn, or yard. However, we didn’t include this in our top 3 chipmunk repellents as it was relatively expensive and received a large percentage of negative reviews. This non-toxic home remedy to get rid of chipmunks uses a combination of herbal scents including peppermint and rosemary to deter small and large animals from destroying your garden. One of the drawbacks of Natural Armor Animal Repellent is that the liquid is fairly thick and sticky and easily clogs up sprayers. The manufacturers claim this is a squirrel and chipmunk repellent that uses dried blood and garlic oil as well as other scents to deterrent rodents. When compared to the granule product in our top 3 list, these Bonide Chemical Granules that Keep Chipmunks Away didn’t seem to meet customer satisfaction. Bobbex Chipmunk Repellent is in a ready-to-use trigger spray bottle to protect your flowers and vegetables from a chipmunk attack. Although it is claimed that the product withstands rain, some users say it doesn’t last as long as claimed and the 32-oz. the spray bottle is not an economical solution to protect your yard from pests. Chipmunk repellents cover a wide variety of products that are designed to deter small and large animals from destroying your property. Animal deterrents generally use a number of mechanisms to create an environment to scare off rodents and other small mammals. The most popular ways to deter chipmunks use offensive odors that taste or smell bad to the animal, ultrasonic waves that only animals can hear, or a combination of both. When it comes to finding the best chipmunk repellent to keep pests out of your yard and property, each type of deterrent has its own advantages and disadvantages. Ultrasonic pest repellents are often the product of choice for many homeowners with a large area to protect. 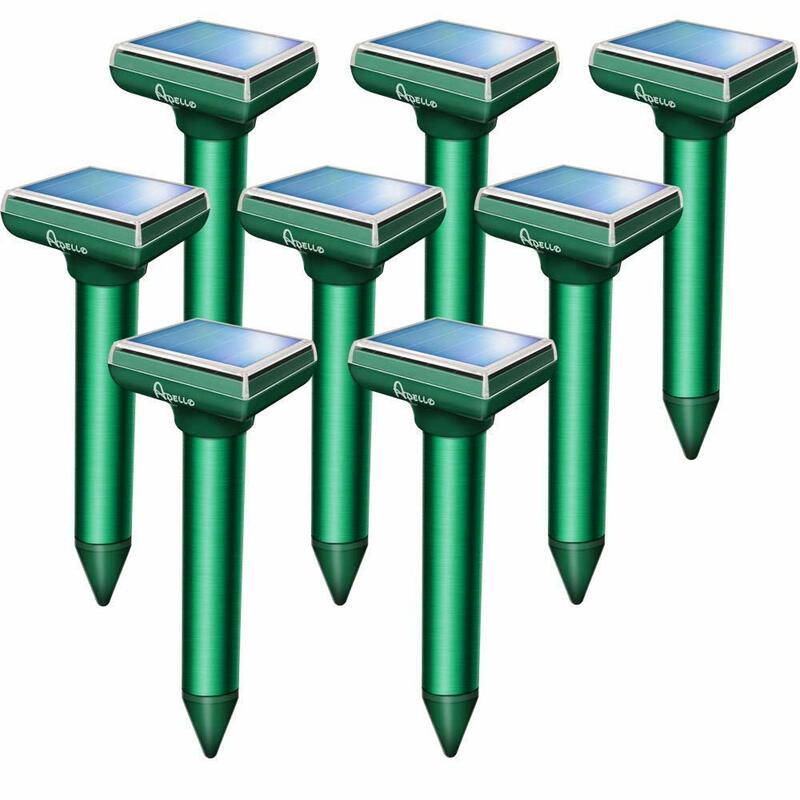 Solar-powered ultrasonic deterrents require very little maintenance and can stop damage to lawns, flower beds, and other areas where plants grow. All you have to do is place them at strategic places in your yard and switch them on. However, feedback is mixed on the effectiveness of some ultrasonic devices and it may take trial and error to find one perfect for chipmunks. Natural spray deterrents use a combination of strong natural smells that either scare away pests or make plants taste bad. Natural pest sprays have the advantage that they don’t harm the environment and are not toxic to pets and humans. However, you may need to reapply the repellent after rainfall. Depending on the size of your property, it can be expensive to use these natural sprays to keep out chipmunks. Urine granules and liquid can be effective because most small animals rely on their sense of smell to sniff out the danger. Picking up the scent of a bobcat, coyote, fox, or another predator could have rodents scurrying away as fast as they can. However, it can also take trial and error to find the right scent that will scare away the pests in your garden. Who needs natural chipmunk repellents? Many consumers who are concerned about the impact of chemicals on the environment look for natural ways to deter pests such as chipmunks, rats, mice, and other animals. A report published in 2013 found that many pesticides designed to protect plants and crops find their way into the food chain. Using toxic chemicals to control pets also results in destroying the natural ecosystem and changing the natural microbial diversity. Another reason to look for products that repel small mammals naturally is that it deals with pests in a more humane way. For example, setting traps that kill chipmunks still leave the homeowner with the problem of disposing of the dead animals. There is also the risk that these types of traps could injure family pets or cause other unwanted damage. 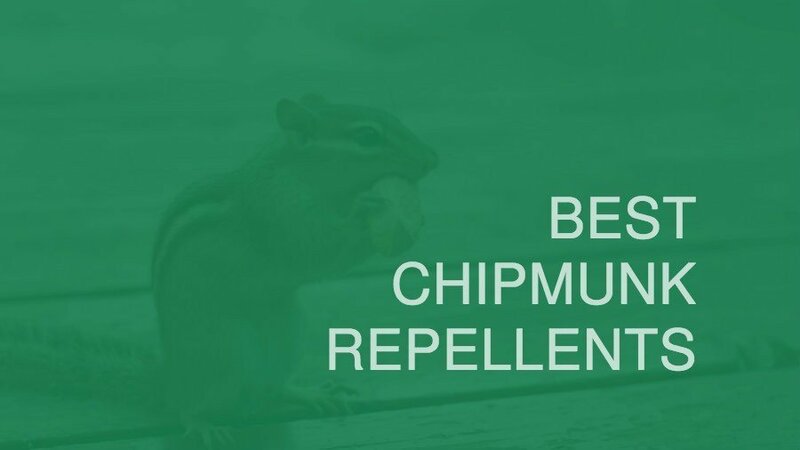 Using repellents to keep chipmunks away from your property is necessary if you grow your own vegetables, flowers, or don’t want your plants destroyed. There have even been reports that chipmunks burrowing under property foundations have caused expensive structural damage! Natural repellents help create an unpleasant environment for chipmunks, squirrels, and other small mammals. They will then move on to “new pastures” and avoid causing destruction on your property. There is also another important reason to take measures and deter chipmunks from your property. Chipmunks, like most rodents, are carriers of disease. The journal PLoS ONE reported that chipmunks carry various diseases that can be passed on to humans, including Lyme disease. The beauty of using ultrasonic chipmunk repellents around your property is that do not require much maintenance. Sonic waves and underground vibrations unsettle chipmunks and they learn to stay away from the property. You can also install ultrasonic repellents inside properties and in automobiles to deter rodents for doing damage. Many homeowners have found success with repelling chipmunks and other critters with these devices. This is despite the fact that studies into ultrasonic repellents are inconclusive. For example, the University of Nebraska found that rodent repellents were effective in reducing pest numbers by up to 50%. However, other studies show that well placed ultrasonic devices are effective in getting rid of unwanted critters. What about the effectiveness of natural products that use odors to scare away pests from your yard? 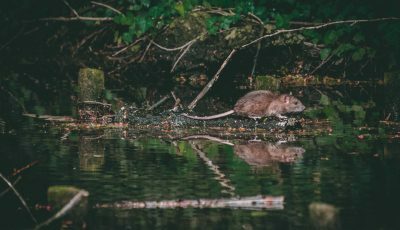 There are two types of products that are popular when it comes to rodent repellents – predator urine and offensive scents. Just as there are certain smells that are offensive to humans, there are odors and scents that animals like or dislike. The purpose of natural spray repellents is to cover areas with smells and odors that stop animals coming near. 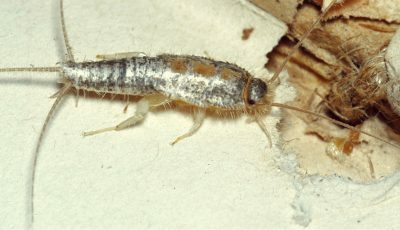 Some sprays are designed to leave an unpleasant taste so that the critters will learn to avoid the area. Other sprays irritate the animals’ nasal passages as they sniff around for something to eat. Because many of the natural animal deterrent sprays on the market are nontoxic, they can be used to repel animals from vegetation and berries that humans eat. There is actually some scientific evidence to suggest that these scent sprays are effective. Scientists have studied various scents to identify what repels chipmunks the best. Some research has shown that eucalyptus oil puts off rodents and has a repelling effect. The results of other studies have revealed that rodents don’t like the smell of peppermint, wintergreen oil, or bergamot oil. Also, irritants like chili powder and ground pepper can also send pests scurrying away. Using urine granules and urine liquid to keep chipmunks off your property leverage the fear factor in scaring off rodents from your property. The scent of predator urine can be a strong deterrent to small mammals who depend on their sense of smell to survive. 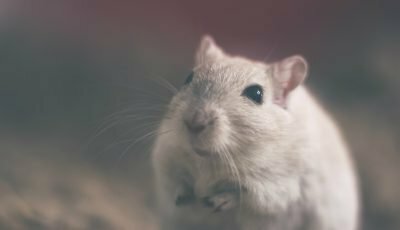 In some ways, urine granules work similar to deterrent pest sprays because they create an environment that puts off small mammals from coming near. However, it may take some trial and error to get a type of urine granule repellent that works for pesky chipmunks in your area. For example, one study into the effects of predator odors to scare off gray squirrels found that not all predator scents worked the same. The researchers compared to odors of raccoon, deer, red fox, and humans. The scientists found that, in their experiment, raccoon and red fox were more effective than the other odors. What other types of chipmunk repellents can these natural ones replace? Natural chipmunk repellents using ultrasonic waves, offensive odors, or predator urine are effective ways to avoid using toxic chemical or inhumane traps. In many ways, natural, eco-friendly deterrents are a better choice than their toxic counterparts. For example, some websites recommend chipmunk repellent mothballs to prevent a chipmunk invasion. However, mothballs that may or may not deter chipmunks and other rodents contain toxic chemicals that can also poison family pets. There are even reported cases of fumes from mothballs placed around the home causing adverse reactions in humans. What should you do if natural pest deterrents don’t work for you? There is plenty of anecdotal evidence that using electronic chipmunk repellents or natural spray and granules work for many people. However, they may not work in every case. What are some of the alternatives to natural chipmunk repellents? You could try putting humane traps around your property to help control the number of chipmunks causing damage. Unfortunately, these traps require constant maintenance and you are still left with the problem of releasing the chipmunk back into the wild away from your property. You could also allow your pet cat or dog to roam around your property as a natural deterrent. However, this may not be an option for everyone, especially if there are nocturnal animals that prey on pets. What should you look for when buying the best chipmunk repellents to control the population of these pests? Ultrasonic chipmunk repellents: The best ultrasonic wave repellents should be constructed of weatherproof materials and be solar-powered. Look for repellents that send out frequent bursts of ultrasonic waves. Some of the best units send out signals for 3 or 4 seconds every 20-30 seconds. You also need to buy enough units to cover your whole property. So, it may be cheaper to buy a multipack with 4-6 units included. Natural spray repellents: To find the best natural spray repellent for chipmunks, you should read users’ reviews for the specific pest you are wanting to deter. Look for products that contain peppermint oil, garlic oil, and an irritant such as pepper or chili powder. If you have a large area to cover, buying large 32-gallon container works out as a very cost-effective option. Urine Granules: If you want to try using urine granules to keep chipmunks off your property, then read users’ reviews if they have been effective for chipmunks. Depending on the surrounding habitat, chipmunks in your area may or may not be repelled by certain predator scents. If you notice one or two chipmunks around your property, then it is probably time to take measures to deter them. Did you know that chipmunks breed twice a year and each time the mother can produce up to 8 babies? That means that within a year you may around 16 chipmunks living in your property. Another reason to deter chipmunks for your property is that they are very destructive creatures. Experts say that chipmunk burrows can even cause structural damage to buildings if they have been burrowing near your home! Have you ever wondered where some manufacturers get a bobcat, coyote, fox, and even mountain lion urine from? Usually, these producers buy urine from zoos, sanctuaries, or farms where it is collected in drains. In many cases, selling wild animal urine is a valuable income for the providers. To be effective in keeping chipmunks off your property for good, you can try to use a combination of repellents to help deter chipmunks and prevent them from damaging your yard or property. To increase the effectiveness of chipmunk repellents, it is important to use the product as the manufacturer intended. Ultrasonic repellents should be placed at strategic places around your property to ensure total coverage. It may be necessary to check the charge of the solar batteries every 2 weeks or so, especially if there has been little sunshine. As for natural sprays and granules, most chipmunk repellents using natural sprays or urine scent should be applied directly around the areas you need to protect. You can also soak old rags in the solution and place in bags with holes around the base of trees to prevent chipmunks climbing up the tree. Most odor-based repellents require reapplying at specific times, so you should check the instructions. Having one or two chipmunks on your property can result in a lot of damage to your plants, lawn, yard, and even home. Natural chipmunk repellents help to deter these pesky rodents from creating havoc and destruction. Repellents that stop rodents in a natural way are also effective solutions if you care about the environment and want to avoid toxic chemicals on your land. The best ultrasonic chipmunk repellent by Apello starts deterring chipmunks after a week or two and can completely eradicate them in the space of 2 months. They are also effective against other rodents and require very little maintenance. Exterminator’s Choice All-Natural Chipmunk Repellent spray is a great non-toxic solution to your chipmunk problem. The natural ingredients help deter chipmunks without harming the soil, vegetation, or family pets. This is a great all-around solution to keep small animals off your property. And the product is also safe to use indoors. While Bobcat Urine by Pee Mart is one of the best choices for using natural predator odors to scare off chipmunks. It is a completely 100% natural product and the granular formula is easy to apply and doesn’t cause offensive smells for humans.